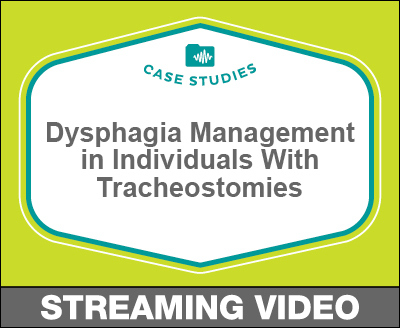 Dysphagia is common in people with tracheostomies, and SLPs who work with this population must use all the available evidence to effectively manage these patients’ conditions to maximize their health outcomes and quality of life. In this session, Donna Tippett will review what you need to know to effectively manage dysphagia in individuals with tracheostomies. She will review risk factors for dysphagia in this client population and discuss clinical correlates of swallowing outcomes. The session will compare evaluation methods and highlight the role of cuff deflation and speaking valves as well as the importance of patient and caregiver education. Participants will walk away with tools to apply immediately with your tracheostomized patients.